Each year on the third Saturday of September volunteers around the world take part in the world’s biggest coastal clean-up day, where they head to the beaches to remove debris from shorelines, waterways and oceans. They join hands and collectively ‘get them dirty’ in an effort to address the pollution that is one of the greatest global threats to biodiversity. 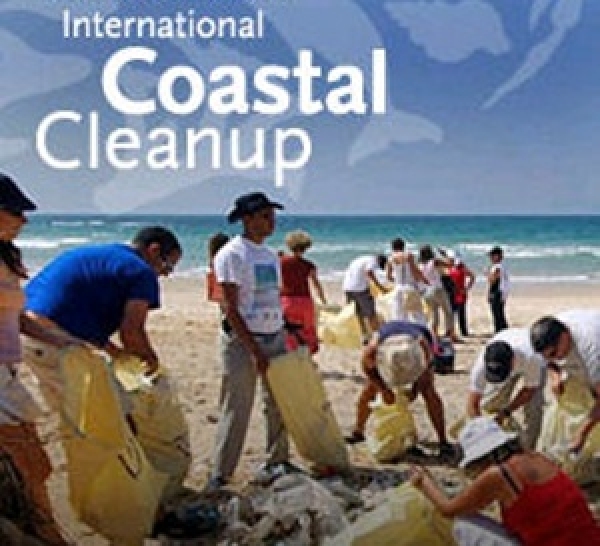 This year marks the 28th annual International Coastal Clean-up day. to make a positive change, and to promote water pollution prevention efforts worldwide. This week the Wildlife and Environment Society of South Africa (WESSA) is actively participating in various events that are taking place around the country in support of the International Coastal Clean-up day. In Cape Town National Coastal Programme staff from WESSA’s Shark Project and the WESSA-Overstrand Estuary Project have already cleaned up the Granger Bay Water Club Blue Flag Marina, and have led a beach clean-up in Fish Hoek, which is the site of the AfriOceans-WESSA Cape Town Shark Project. In the Eastern Cape staff from the WESSA-Ndlambe Biodiversity Project will be guiding a Working for the Coast team in the clean-up of Kenton-on-Sea’s coastline, which encompasses the Joan Muirhead Nature Reserve and two Blue Flag Beaches of Kariega Beach and Kenton Middle Beach. In East London staff from WESSA’s Blue Flag Programme will be cleaning East Beach and Orient Beach, following their presentations to children at the National Tourism Careers Expo on Saturday. Whilst it is important to mark International Coastal Clean-Up Day with enthusiasm and commitment, this event also is a symbolic reminder of the actions that we should be taking every day. WESSA’s National Coastal Programme runs throughout the year and aims to ensure that all South Africans work together to contribute to the conservation of our Coast and Marine Environment. One of the main initiatives implemented through WESSA’s National Coastal Programme is the international Blue Flag certification which accredits beaches, marinas and (in South Africa) whale-watching boats that meet the required standards of excellence in water quality, environmental management, environmental education and information as well as safety and services. Blue Flag certifications are awarded annually through the active engagement with municipalities, tourists and local populations. The problem of marine debris does not necessarily originate in the oceans themselves and a large proportion consists of waste that is dumped inland and then washed down into the sea. 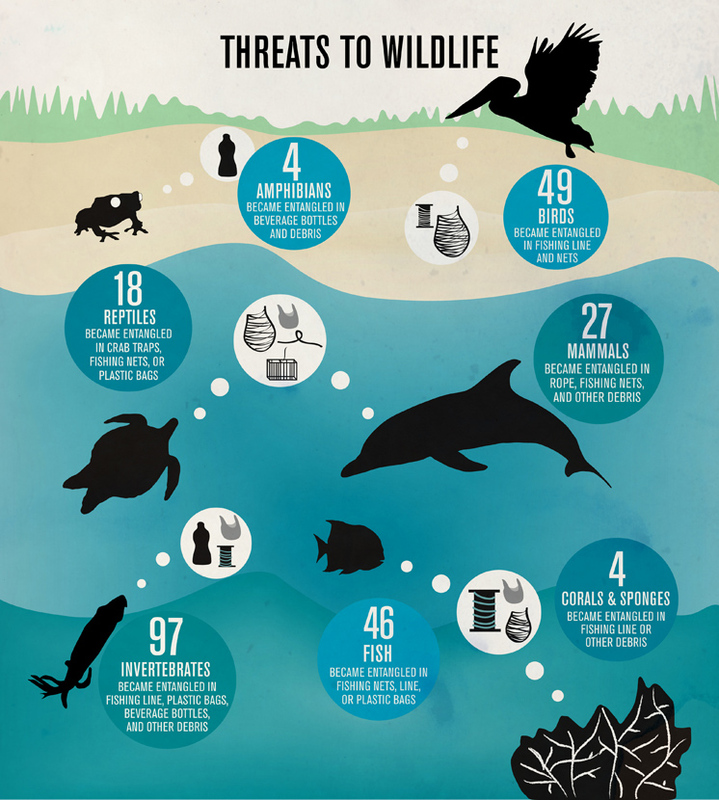 Each year we see a vast increase in the number of marine animals that are injured or entangled in debris. Turtles mistake floating bags as food and thousands of seals, whales, dolphins, sharks and birds die from entanglement in fishing line and other debris. While the focus of WESSA’s National Coastal Programme is on coastal issues, the project also makes the important links with terrestrial and freshwater initiatives that directly impact coastal quality and sustainability. South Africa is blessed with many wonderful beaches that are enjoyed by locals and tourists alike. With the summer holiday period fast approaching, the strongest message for this International Coastal Clean-Up Day should perhaps be that regardless of where we live we all need be constantly mindful of how we dispose of our waste as all rivers flow to the sea ultimately.